Dallas’ new, preeminent boutique remodeling & design build company. 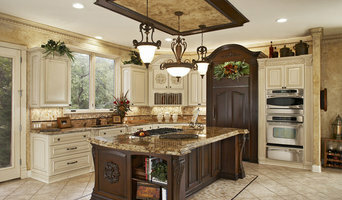 RK Residential purchases and distinctively designs and renovates homes to sell in Dallas, Texas. Studio City is a custom design/build, and remodel company with an A Plus Rating with the BBB, Better Business Bureau with over 25 years of experience. We are registered and licensed in the state of Texas. Studio City has successfully completed hundreds of projects, working in tandem with some of the most talented designers and architects. With a commitment to better design and quality product, we have served some of Dallas's most prominent citizens. It is our goal to provide a product that has a timeless look, is efficient, practical, and beautiful with as little maintenance as possible. Studio City uses first rate engineering, technology and materials to build a lasting, quality project. We offer alternative energy technology such as solar power, geo-thermal, and wind power. Each job is an individual as the client and customized to fit their needs, desires, and plans. The Design Walk - Providing over 20 years of model home design in Texas and California, luxury residential interior design, and full turn-key services including project management, remodeling construction, full model home design, and staging. Serving Homeowners, Home Builders, Investors, Developers, and Commercial Property Managers. Our Design + Remodel Build Solutions were formed out of a desire to help simplify and add more joy to our customer's experience . We walk you through an exciting and focused journey to discover your vision, needs, and style to create a home that is a reflection of you. A lifestyle and destination for your family. High End Design + General Contracting + Construction Services + Interior Design + Custom Homes & Design-Build. A Dallas, TX based design-build studio that specializes in handmade cabinetry, architectural millwork, furniture, custom finishing, and restorations. The Art of Dwelling, Inc. Award-Winning Home Renovation & Custom Building Specialists! Our focus is creating something special for you...based on your needs and your lifestyle. Being a design + build company, we create a "one-stop-shop" experience...taking you from an initial concept to final construction. 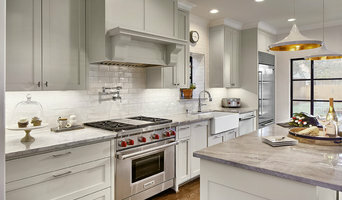 At Swanson Renovations, we specialize in top quality work and personalized service for your remodeling needs. 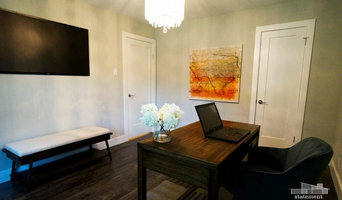 Caldwell Arte represents unique and inspiring collections of original abstract and contemporary art, graphics and design services. We provide comprehensive design services that include not only plans &amp; elevations, but all critical details to building projects. Successful designs &amp; owner/contractor relationships are both enhanced by maximizing the information both for budgeting projects and execute all phases of construction down to the last detail. Susan Newell brings an all-encompassing yet transparent perspective through exquisite design and personal involvement in planning and executing; each detail thoroughly considered when tailoring "rooms" to the needs of your home's family and guests. Ms. Newell applies a simple and tranquil style that accents the architectural austerity, while incorporating up-market products, unusual organization arrangements, minimal lines & forms, all with an experienced eye. KEY ASPECTS of ALL Susan Newell Custom Homes: - colors are endlessly interesting and original - consistent artisan applications of traditional techniques - absence of any superfluous ornamentation - impeccable, yet understated luxury living spaces A full service process, from design planning, construction to your custom build, purposeful layout of custom furnishings, to turn key completed-move-in-home project.